SB1 Win Mixed Indoor Regionals! 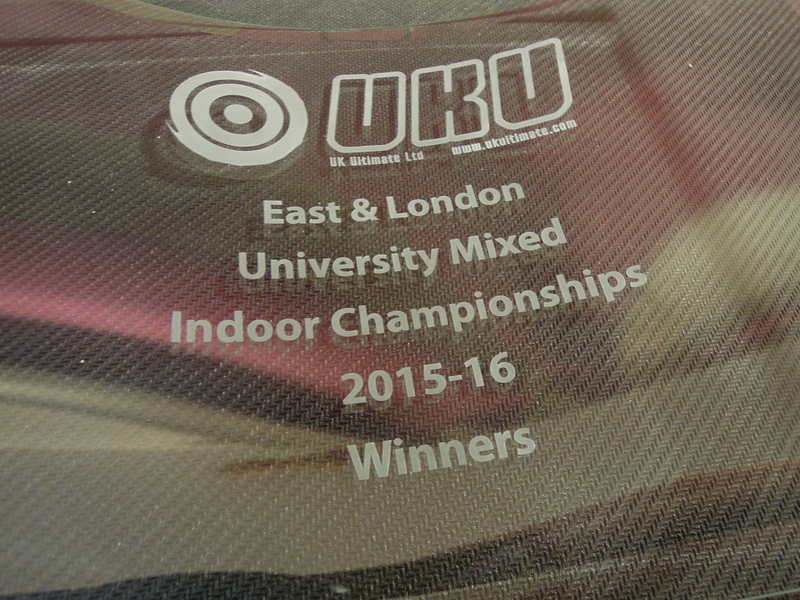 On the weekend of October 31st/November 1st 2015 the SB1 indoor mixed team arrived at UXIR seeded third. 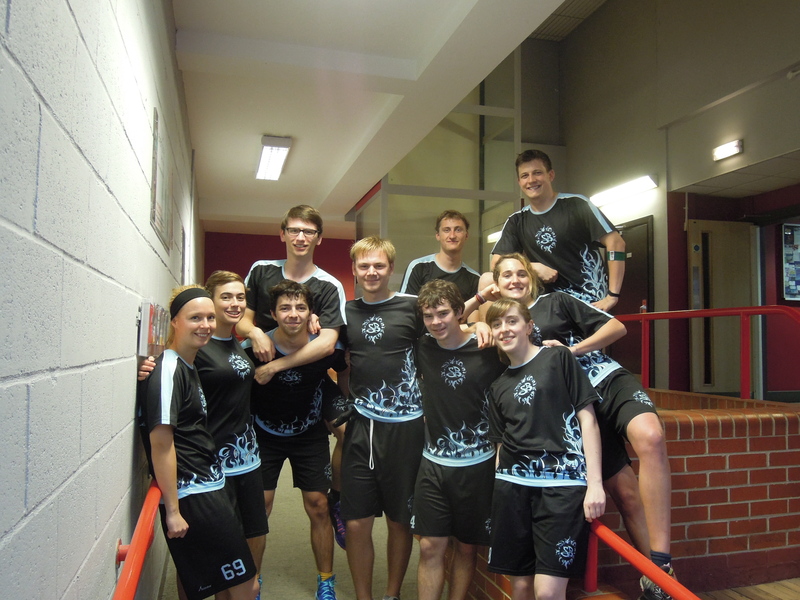 Two days later, we’d conquered all to take 1st place and secure both a pretty swish trophy and a spot at Division 1 mixed indoor nationals later in November. The first three pool games of Saturday were dominant showings for SB1. The combination of greater experience, high pressure defence and JR in the end zone allowed us to take comfortable wins over UAL, Essex and Imperial 2 whilst practicing our own offensive and defensive systems to ensure we would be playing on point for the last game of the day. Highlights included Danny laying out in the third point of the first game to secure a score from one of Fran’s hammers. Our match against Kings was a huge step up in intensity from the previous three games, for both teams. Kings seemed more prepared and went 2-0 up on us immediately through a combination of unexpected zone-ish defence and fast clinical offense – they were running the classic indoors iso-comes-back/handler-up-the-line rotation, playing majorly through their women in the midfield. Our ladies rose to the challenge admirably and following the slightly shaky start we got our heads in the game, focused on shutting down their handler weave and took our time swinging around and through their defence. JR threw a cheeky knife backhand score to Bryn over somebody’s head. I got a point block. Helena, Fran and Lizzie chased their women down with endless energy. We managed to get our crucial 5th point with only a minute or so left on the clock, earn the disc back from their offense line, and then play keep-away until the clock ran down. We’d overcome the first real challenge of the weekend, and went into Sunday holding 3rd seed. What a close quarter-final. We knew we had a strong second team coming into this tournament, and boy did these guys play like they had a point to prove. SB1 came out slow whilst SB2 went huge on defence, capitalizing on our decision and execution errors with plenty of blocks and run-through Ds. Despite the eventual SB1 victory (Jonny: ‘we let them have it’) this game was more about SB2 than it was SB1, and ended with Hayd holding onto the disc for a final second stallout rather than risking a throw amongst the SB2 defenders. We knew after this challenge that if we wanted to win our semi-final we’d have to step it up big time. Our semi-final game saw us come up against ex-Cambridge players Tom Anthony and Janman, now playing with UCL (the traitors). This game started out very close with both teams playing really strong offense and defence, but pretty soon the intensity picked up from SB1 and we managed to pull the score away following some conversions on UCL mistakes. Hayd laid out into a wall headfirst to save an errant Bryn-disc – tactical obviously, since Rolo got to sub on with possession on their end zone line… Points were lengthy with multiple turnovers and long possessions. UCL did a solid job of keeping possession outside of our endzone but later in the game just failed to connect on the crucial throws for the scores, which is a testament to our hard defence. And suddenly we’re in the final. The first ever final for some of us. It was terrifying. Napping was used as a coping mechanism. Crikey this wasn’t half stressful. Imperial went 2 points up at the start of the game off the back of some major errors in our offense followed by some incredibly slick movements from them, of both people and the disc. Lizzie scored to get us back in the game. We scored some more; they scored some more. Rolo threw the disc to Hayd in the endzone, only at the height of approximately 4 unit Hayds. Then a disc to Joe in the endzone which I accidentally ran into. Bryn got bookends. I dropped a clap catch in the endzone. It was an emotional rollercoaster. The SB2 sideline were absolutely amazing. But the Imperial offense was pretty great as well. And when the whistle went with the score tied at 6 – 6 they had the disc. On pitch: Rolo, Beeby, Danny, Helena, Charlie. We held them off admirably with the downfield defence working incredibly hard to shut down dangerous throwing options to the endzone cutters. Some calls happened. It was all very tense. And then under pressure one of their guys throws a down-the-line throw off the pitch. Rolo picks up the disc; centers to Danny; to Beeby coming under from the iso position; some other stuff happens; Rolo probably gets the disc again; back to Danny around their brick mark, who realises I’m not being marked in the end zone, gives me the eye, and then throws the disc. I wasn’t moving initially but the throw was on point since captain Rolo had us practicing ‘throw before they run’ in the squash courts before the game (top quality captaincy right there #GB #playmixed). 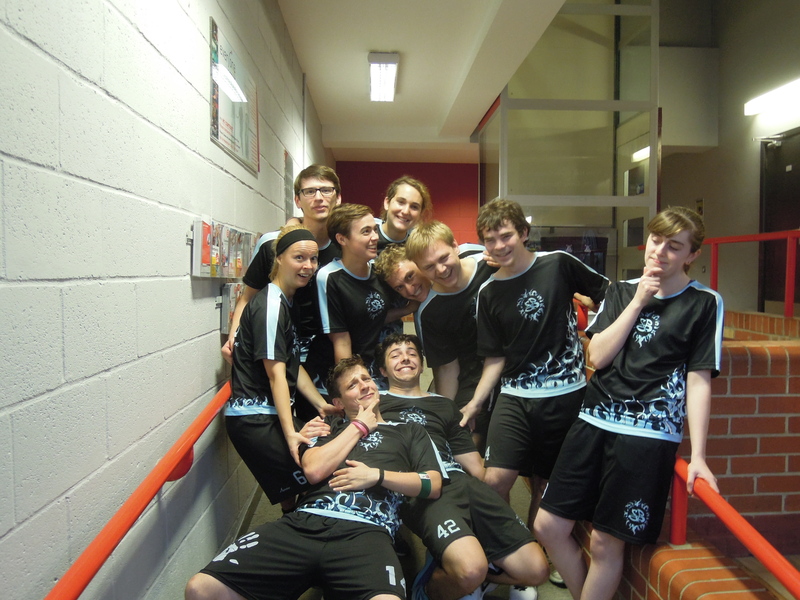 And – oh boy – we’ve only gone and won regionals. WON. REGIONALS. Joe hadn’t even realised time had gone during universe point. Congratulations to everybody involved, we played our hearts out and have the result to prove it. I’m so proud of the whole team for stepping up to the challenge and working together so well to get a few of us our first ever ultimate tournament victory. We survived the pressure on-pitch and had a whole lot of fun off-pitch. Huge kudos also to SB2 for their phenomenal sideline efforts all weekend – the support was amazing.